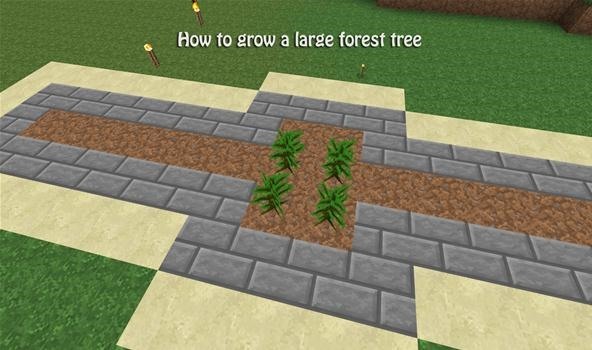 Have a ton of saplings in Minecraft, but just don't know what to do with them? To some players, saplings seem like useless pieces of in-game junk, but that's just because they don't understand the full potential. Today, we'll be creating the most efficient style of tree farm with your extra saplings, so we have a better and more efficient way to create and gather wood in Minecraft. When wandering large areas of terrain in your Minecraft world, you will without a doubt come across some saplings. Saplings have a 1/16th chance of dropping from a tree when the leaf blocks are destroyed or when they decay. Because wandering the map can be a time-consuming task, tree farms are very useful! 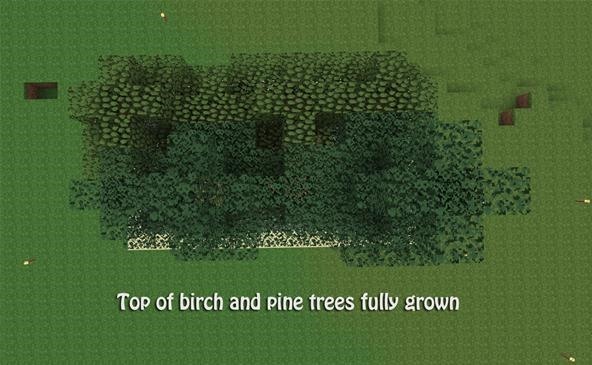 You will need 4 jungle tree saplings to create one large jungle tree. Jungle trees can be up to 30 blocks tall and will yield (on average) 25 forest logs. Place your 4 jungle tree saplings on dirt or grass in a 2x2 area. 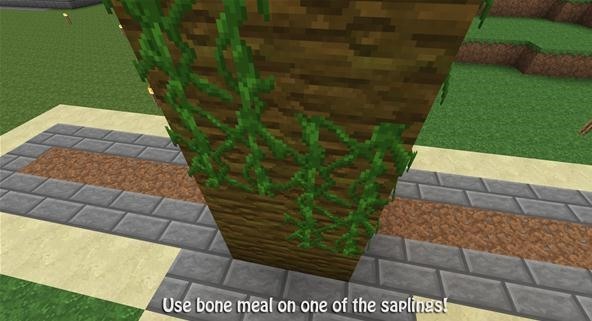 Using 1 bone meal, right-click one of the saplings. 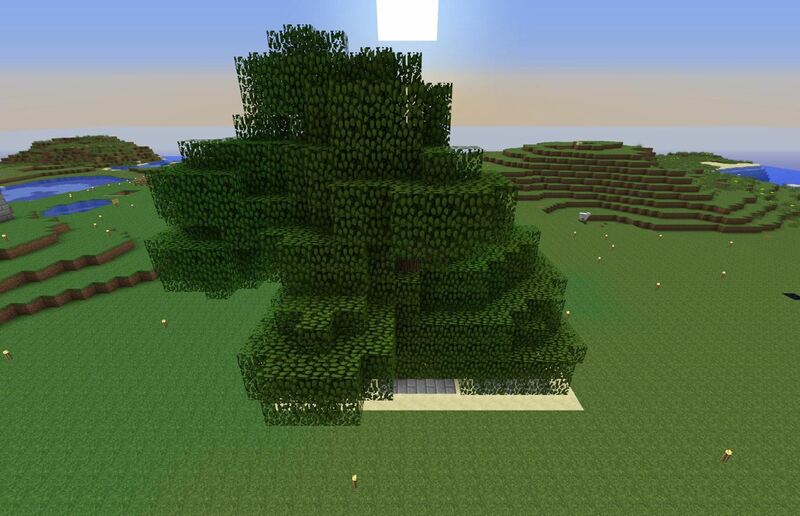 Once the tree grows, it will automatically grow all four saplings, making a giant forest tree! Don't forget to collect your saplings after you break the tree down! Use shears to collect the leaves and vines, if you want! 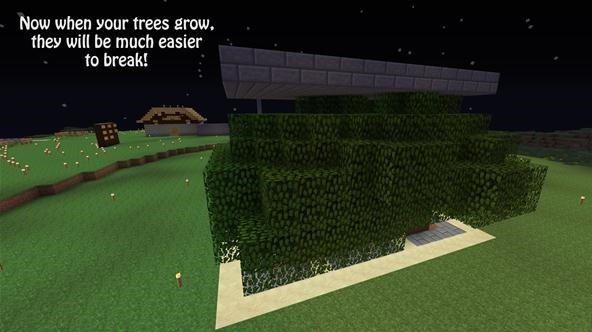 In order to grow your own trees, your saplings must be placed on a dirt or grass block, and must have a light level of at least 8 in the sapling's block. 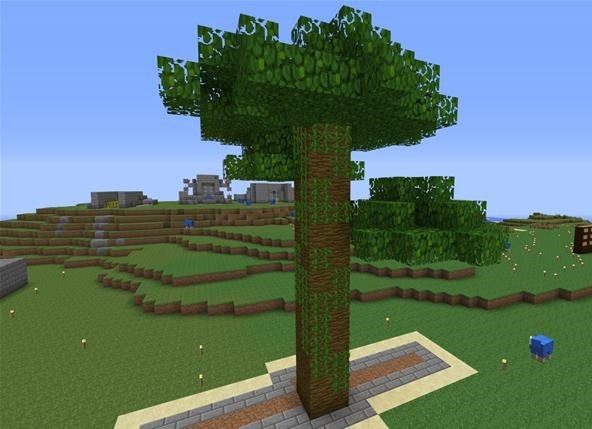 A sapling will pop back out of the ground if there is a light level of 7 or less, unless it has an unobstructed view of the sky (transparent blocks do not count). Saplings mush have at least 4 blocks of space above them in order to grow. If there is a ceiling above the sapling you are trying to grow, it will limit the maximum height for that tree. All trees in a radius of 7 chunks (each chunk = 16x16 blocks) from where a player is standing will make attempts to grow at random times. Trees will usually not grow until nearly 30 minutes after the time you planted the saplings. When the tree attempts to grow, it first checks the light levels. Next, it chooses which type of tree to spawn. For oak trees, it will choose either small or large, for spruce/pine trees it will choose short, tall or very tall. 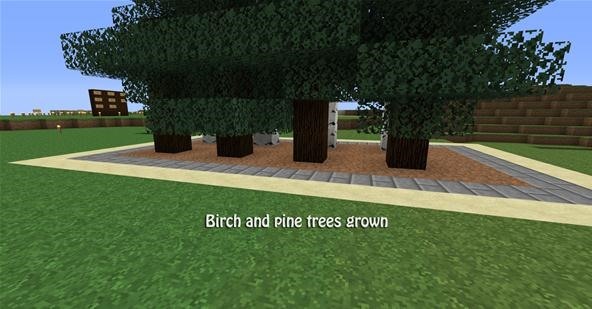 Birch trees only have one type. Once the trees pass the light check and have chosen a size to attempt, it will then check if there is enough space to grow into what it randomly chose to become (large, small, tall, short, etc.). If it encounters an obstruction during this check, it fails to grow and must wait for the next pass before it can attempt to grow again. 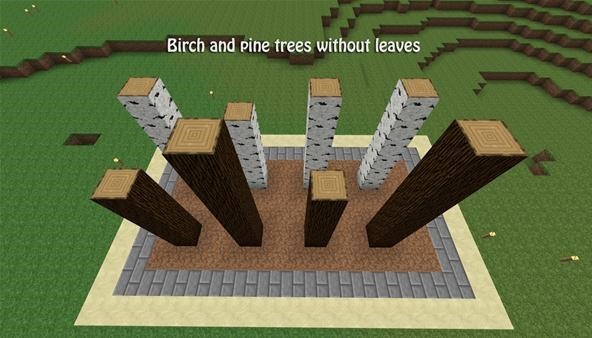 Bone meal (made out of bones) will force saplings to grow into trees when you right-click, as long as all of the normal checks are in place (light, space, dirt, etc.). It does not guarantee tree growth, but it forces it to attempt to grow, regardless of light level. The tree must still pass the space check for its randomly chosen type before it grows. 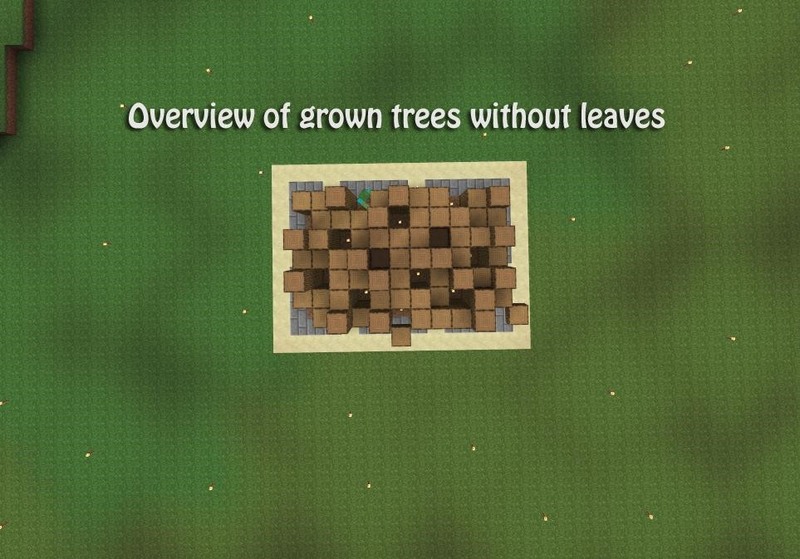 If you enjoy a quick and efficient tree farm, this is the method for you. This method will work underground as well, so keep that in mind! You will need 61 total oak saplings for this tree farm. If you do not nearly have enough, don't worry! 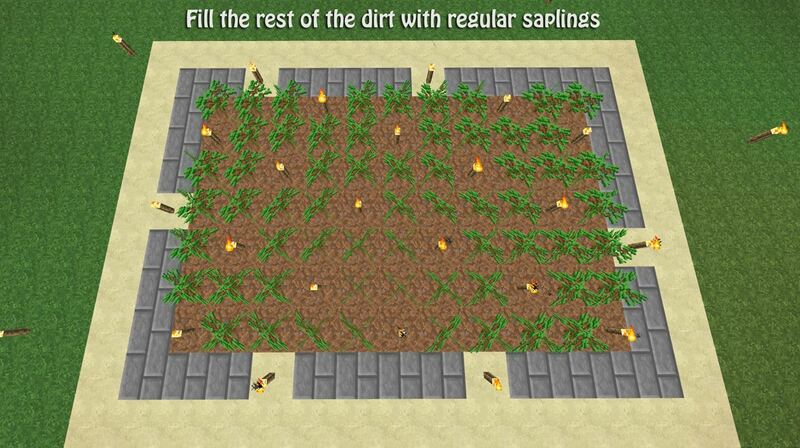 You can still follow the steps below by only adding the saplings you have for now. As you farm those trees more and more, your saplings pile will grow! Your complete layout will be 9 blocks by 13 blocks. You will need to look at the image below to get a feel for this setup, as it would be nearly impossible to explain without confusing the both of us! Step 2 Nice and Neat! Surround the base of your farm with the material of your choice. I used sandstone to wrap around my stone brick. This step is optional, but I figured I would share it with you. 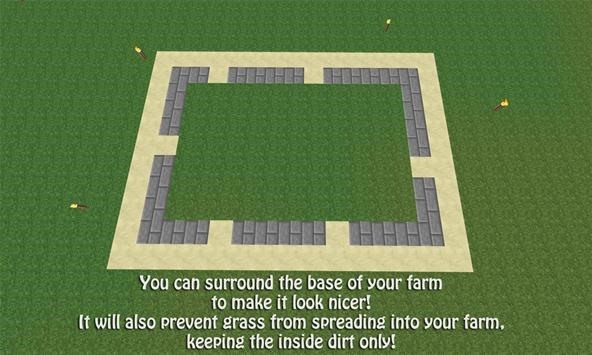 I prefer to keep the inside of the farm as dirt, though you can use grass if you want! This extra parameter around our initial layout will prevent grass from spreading to the dirt inside the farm. 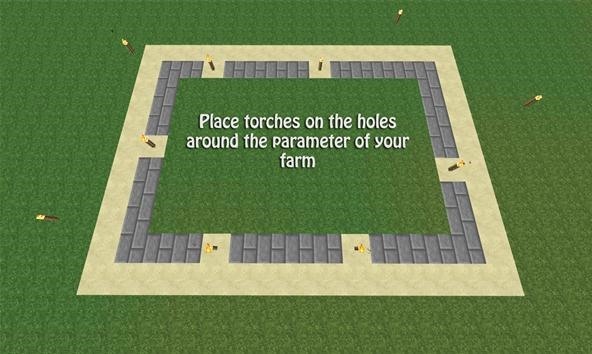 Place torches on the holes around the parameter of your farm. There will be 6 torches total for this step! 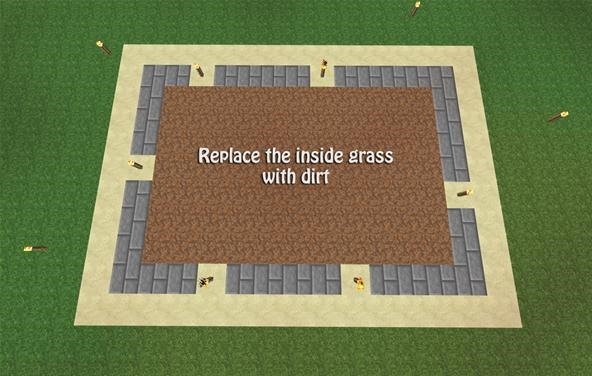 Replace the grass on the inside of your farm with dirt blocks. Again, this step is optional! You can use grass for your farm, too! This part might seem tricky, but I promise it's simple once you get the hang of it! 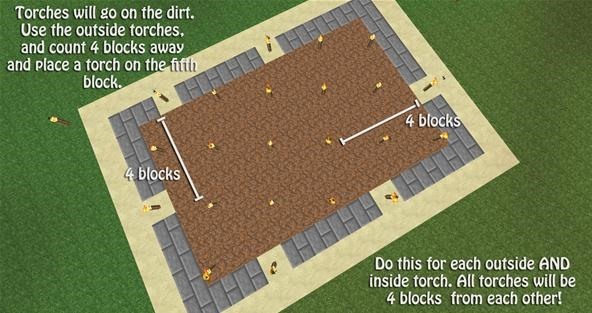 Using the torches on the parameter of your farm as a guide, place new torches 4 blocks away (on the 5th block) from those. Every single torch in your farm will be 4 blocks away from each other. 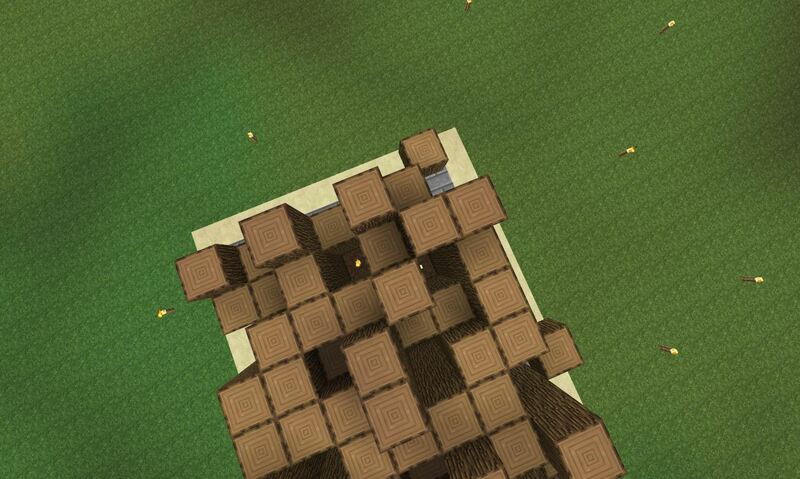 Inside your farm, you will have a total of 16 torches placed, making that a total of 22 torches in your tree farm. On the dirt in your farm, place your oak saplings to fill the rest of your farm. 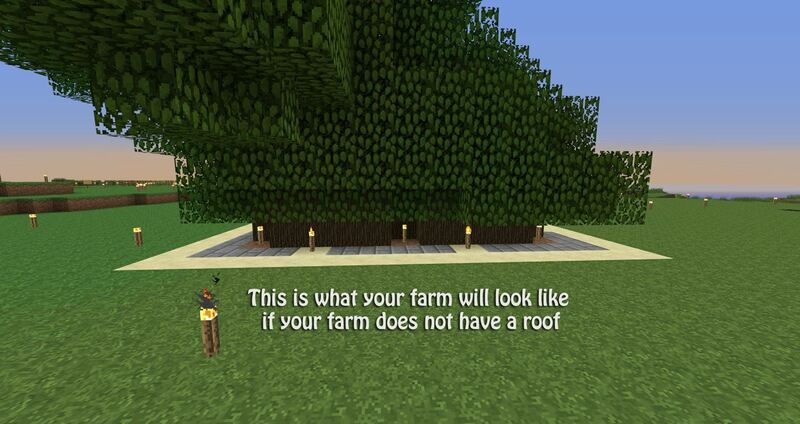 Every single block inside the farm will either be covered with a sapling or a torch! 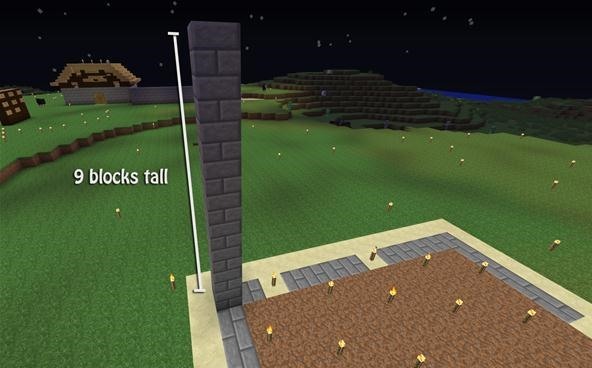 On a corner of the outside of your farm (not in the dirt), create a pillar that is 9 blocks tall. 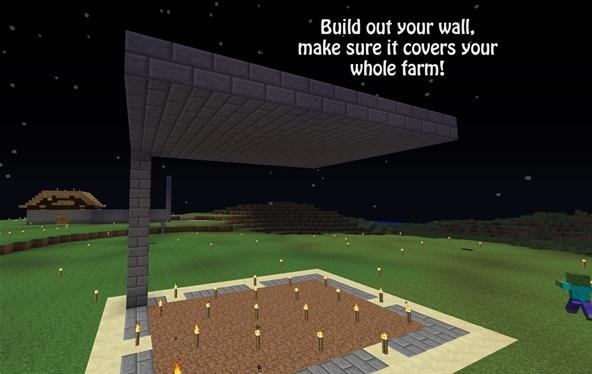 Build out your ceiling making sure that it covers your entire farm. You will get much larger trees, making it harder to break them all down and replant. The purpose of this tree farm is to make cutting the trees down as quick and painless as possible. The bigger your trees, the more pillars you will need to make yourself to reach the tops! After adding your ceiling, this is what your trees will look like! A result like this makes things so much easier for you, so I highly recommend adding the ceiling! I removed all of the leaves in my farm so that you can see the logs easier. This is similar to what your tree farm will look like. Notice it's almost a solid rectangle of logs! Here's a quick overview of what your farm will look like (I removed the ceiling). 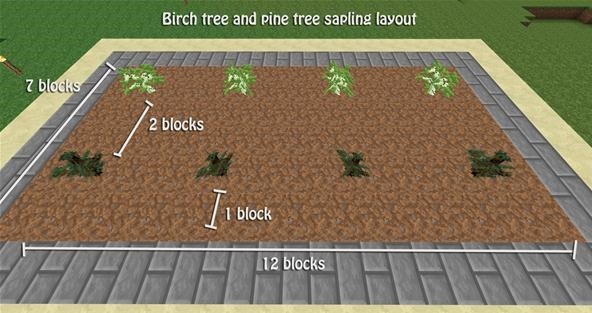 The layout for your birch and pine tree farm will be 12x7 blocks big (the dirt area). 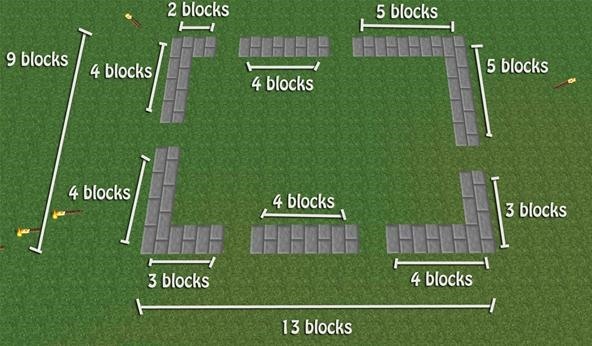 The parameter of your farm will be 14x9 blocks. 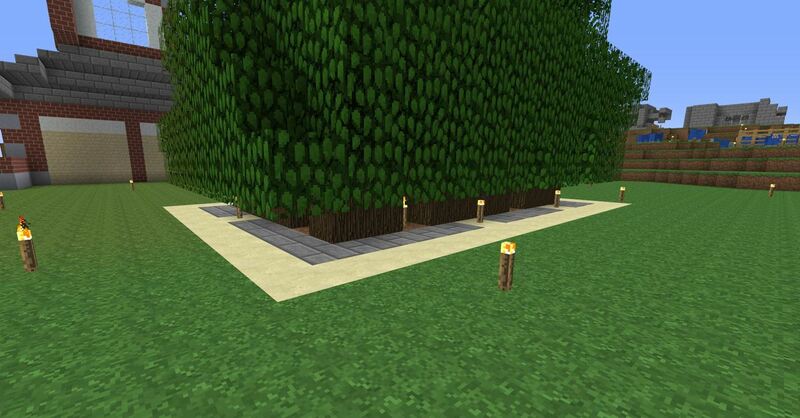 The side saplings will be 1 block from the left and right of your walkway. In-between each sapling, there should be two blocks in order for the trees to grow. Ideally your birch saplings will be on one row, and your pine tree saplings will be on the other row. This is similar to what your birch and pine trees look like when they are fully grown. The top of your trees will look similar to this; notice the leaves overlap without any issues! 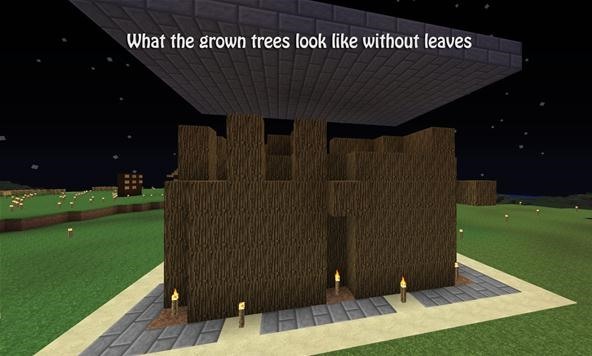 And of course, this is similar to what your trees will look like without leaves on them! What kind of tree farms are you used to? Do you prefer to wander the great world of Minecraft to find logs instead? Don't forget to join us on our Minecraft server today (Saturday) at 3 PM (EST) / 12 PM (PST) to learn and teach some design tips using 1.2's new block types! Just to let you know, step 1, picture 1, for building the tree farm is off. It says to do 3 stone bricks, but there are actually 4 there. So if you were to start from the top, it would be: 2 stone bricks-1 sandstone-4 stone bricks-1 sandstone-5 stone bricks. For bottom: 3 stone brick-1 sandstone-4 stone bricks-1 sandstone-4 stone bricks. It took me forever to figure this out and I was trying to get the full 13 blocks like it says, but I kept getting 12, because if you followed the picture's numbers, then it would be 2+1+3+1+5=12. But if you fix the 3 and change it to a 4, like the number of blocks shown, you get 13. So yeah. Here you go and have fun creating miners! The stone bricks tend to play tricks with your eyes! You don't really need 4 Jungle saplings for a giant tree. You only need one. Put it in the square of 4 with any other saplings and bonemeal the jungle tree one. Note: This will not work without bonemeal because the others might (and probably will) grow first and not include the jungle one. Cool I tried it out! And I got back my computer so I will be online soon! I prefer growing birch trees, as they can be harvested from the ground or from standing on the bottom stump of the tree. 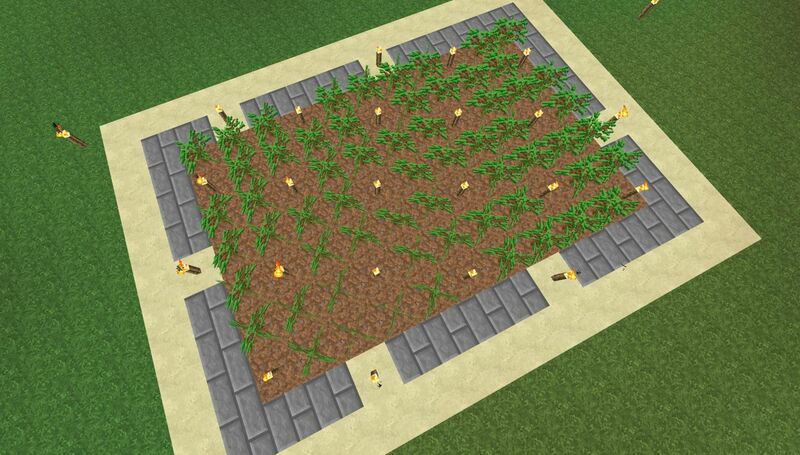 Perfect for underground farming with at least 9 blocks high roof. 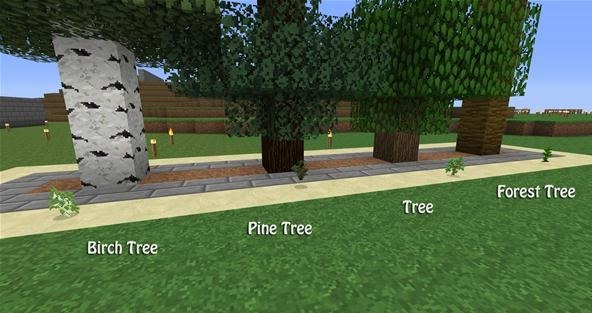 version 1.8.1 seems to have more tree types than discusses, I'm looking for dark oak specifically, any pointers? ?